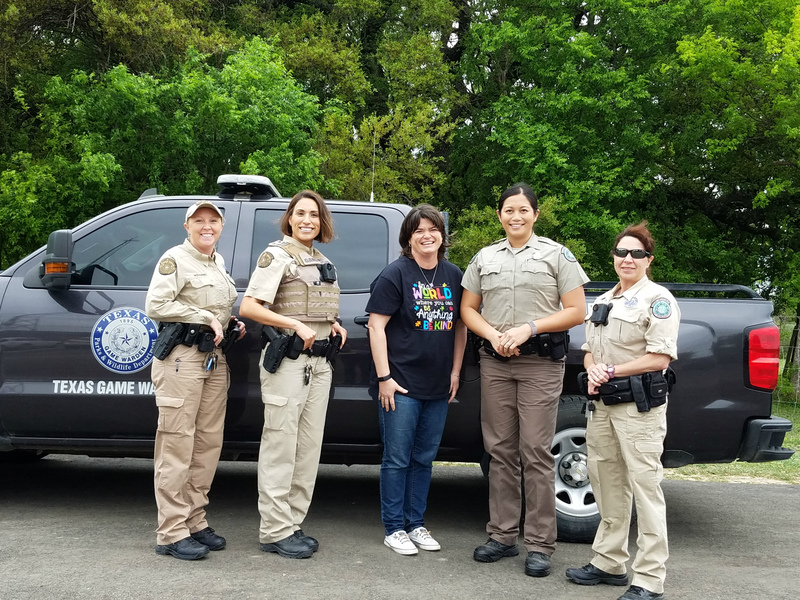 The Game Wardens of Lone Star Law came to D'Hanis to talk to our 3rd through 5th graders. They took the time to explain to the students what Game Wardens do and to answer their questions about law enforcement and the TV Show. 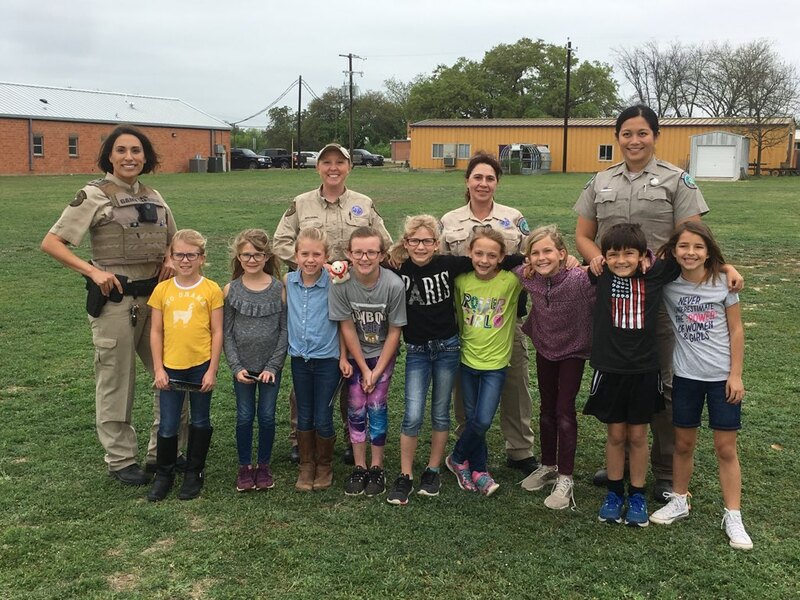 Joann Garza-Mayberry, Kathleen Stuman, Larrin Johnson and Wei-Wei Startz took the time to pose with students and Principal Santos.